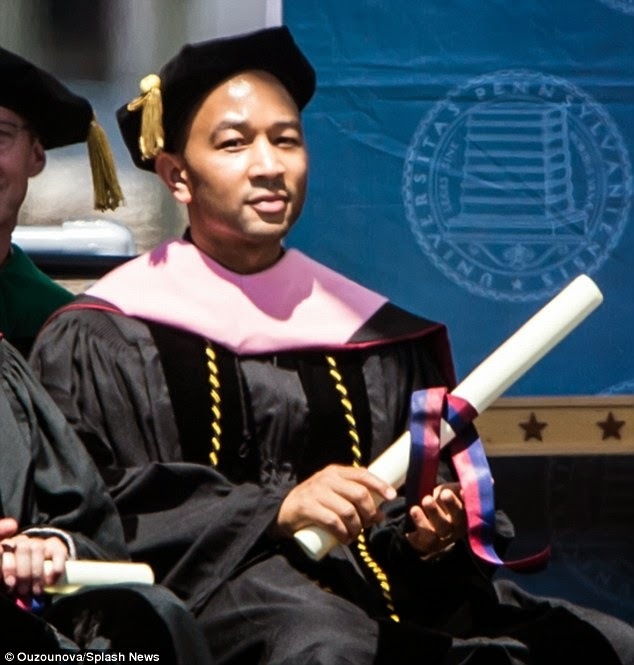 John Legend, was granted yet another Honorary Doctor of Music on Monday. Chrissy Teigen decided to go barefoot to accompany her husband. She is a full-time fashion model, and has done her fair share of strutting down the catwalk in high heels. 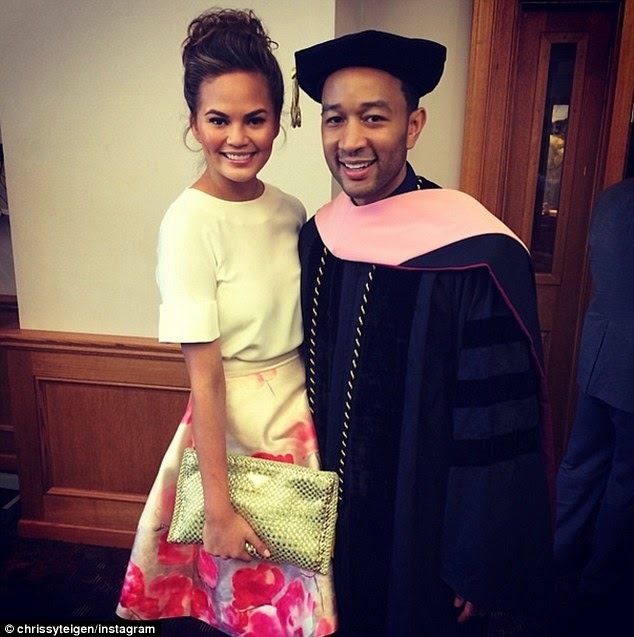 The 28-year-old model smiled proudly as she posed with the 35-year-old Grammy Award winner, in full graduation garb. 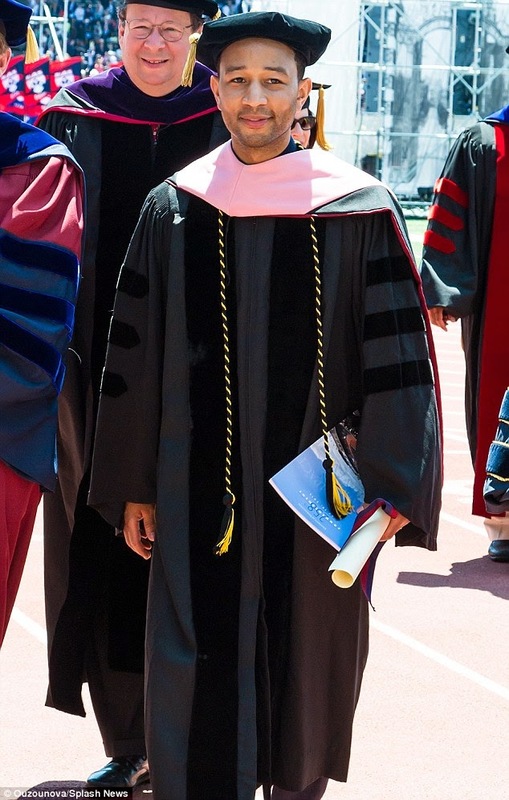 John looked very proper in the full-length gown and matching academic cap, which he wore to the university's Commencement Ceremony at Franklin Field where he was granted the doctorate. Chrissy got herself perfectly primed for the prestigious event, looking elegant and pretty in a Lela Rose skirt. The Sports Illustrated model wore her brunette tresses in a tidy up-do and stored her essentials in a chic gold clutch under her arm. She looked as proud as punch as she posed beside her beau, with the pair of them grinning as though it was their own graduation day. 'My baby got another honorary doctorate!' she gushed in the Instagram caption, which she was sure follow up with a sneaky remark. 'I have a bunch too I just don't brag about all the time,' wrote the model, who is known for her 'smart mouth' as referenced in her husband's latest single, All Of Me. It must have been a long ceremony, because by the time it was over Chrissy was apparently eager to get out of her high heels. She was seen giggling as she traversed the grounds in bare feet with her strappy shoes in her spare hand, which her talented husband also appeared to find amusing. It's not the first time John has been awarded with an honorary university certificate on account of his excellence and success in the field. 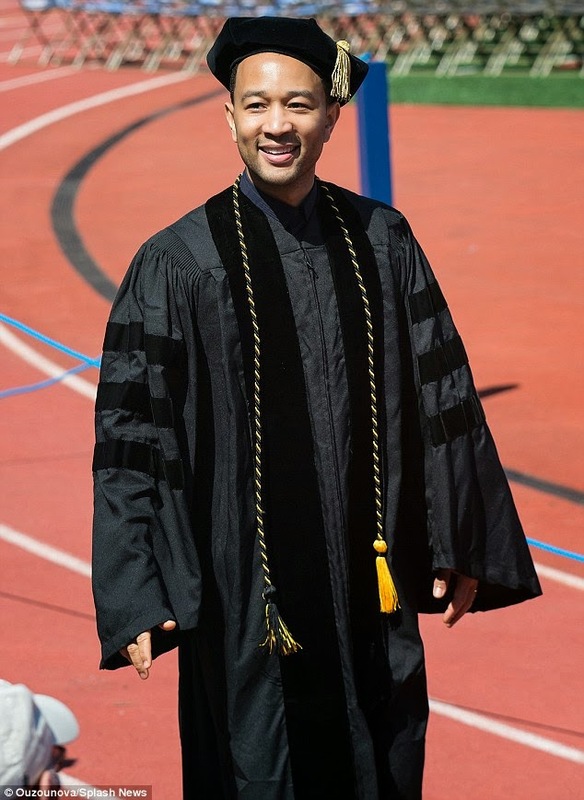 In 2012, he was granted an honorary doctorate for his commitment to education by Howard University. 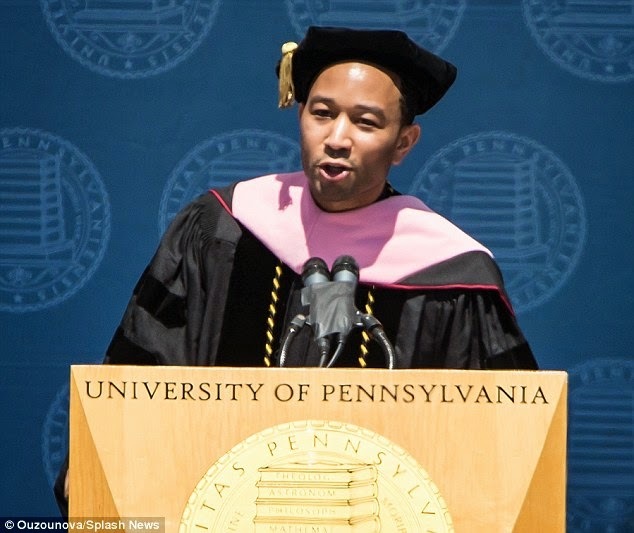 While he was there on Monday, the Get Lifted singer delivered a heartwarming speech to the graduating students of the University of Pennsylvania.